“Now the Berean Jews were of more noble character than those in Thessalonica, for they received the message with great eagerness and examined the Scriptures every day to see if what Paul said was true. The Quran, the holy book of Islam, refers to Christians as the “People of the Book.” This is an appropriate and accurate description of who Christians are. But are we really the “People of the Book”? Are we really men and women of the Bible? One of the precious lessons I have learned from the persecuted church—in my over 20 years of working in the Southeast Asia Region with Open Doors—is that there is a very high regard for the Word of God among persecuted believers. In countries where Bibles are still forbidden, confiscated, and burned, the Bible is seen as a real treasure; a very precious commodity. Though it is a scarce and potentially dangerous book (since you can be arrested for possessing one), it is highly regarded and very much appreciated. It is really valued as God’s Word—to be read, studied, memorized, followed, taught to others, and passed around. In many countries where the Bible is is forbidden, persecuted believers find various ways and means to get a copy. Many listen to shortwave Christian radio messages and write down the passages of Scripture dictated on the radio, which they share with other believers. Many of those who are able to get an actual copy of the Bible divide the Word of God physically and distribute the portions among themselves. In South Vietnam, there was a time when a believer could be given a copy of the Scriptures only after he had memorized Psalm 119. One had to recite all 176 verses contained in the longest psalm in the Bible. If in persecuted countries there is a scarcity of the Scriptures, in free countries, like the Philippines, we are flooded with the Word of God. You can even say that there is a tsunami of Bibles. Never before in the whole history of Christendom have we been swamped with so many copies of the Bible- thousands and thousands of them, in several versions, in various special editions—for men, women, youth, and children. And yet, biblical illiteracy continues to be high. There are so many copies available and yet so few Christians read the Bible on a regular basis. How ironic—in countries where the Bible is forbidden, Christians are eager and hungry to read, ready to risk being punished by the authorities for simply possessing a copy. Meanwhile, in countries where Bibles are allowed and very much accessible, Christians are lukewarm and half-hearted—not hungry to read the Word at all. Some of us have what I call ihip (blow) Bibles: Before using one, you have to blow the dust off of the cover. 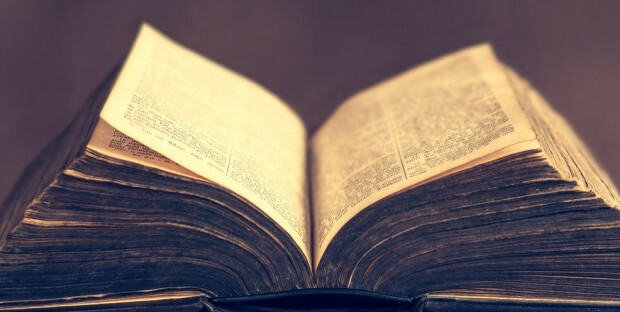 Are we fully convinced that the Bible is really the Word of God? If we are, shouldn’t we be reading the Bible on a regular basis? We cannot afford to take the Word of God for granted. But the sad reality is that many Christians in the free world seem to just pay lip service to God’s Word. Many Bibles remain unread, unappreciated, neglected, and unused. What about your Bible? Are you reading it regularly or is it just lying there on your desk, shelf, or closet, gathering dust? Hopefully, this short sermon will inspire you to follow the example of the Bereans. Their lives exemplified what it meant to be men and women of the Book in the first century. In Acts 17:11, we find three characteristics of the Bereans as they responded to the Word of God, characteristics that we as Christians need to emulate. Luke, the author of the book of Acts, commended the Bereans. Why? How did they respond to the Word of God? Nowadays, the attention span of many a congregation seems to get shorter and shorter whenever the pastor starts to preach. Initially, people listen with some interest. But in the middle of the sermon, people begin to yawn and lose concentration. Others begin to nod—not out of agreement, but out of drowsiness. Let’s learn from the Bereans. They received the message not only with eagerness, but with great eagerness. The second characteristic of the Bereans is that they examined the Scriptures. They did not only read; they examined. They searched the Scriptures diligently. They wanted to know if what Paul was saying was true. Paul was already regarded as the theologian par excellence of the New Testament, yet the Bereans were still cautious in listening to him. They rightly recognized that the final authority was the Scriptures itself, and that such authority was not vested in any person, no matter how high he was in the church hierarchy. Lastly, how frequently did the Bereans examine the Scriptures? Every day. They read the Word of God in a consistent manner. During their time, this was hard to do. Why? They didn’t have Bibles of their own like we do now. Let’s not take our Bibles for granted. Since the Bible is readily available, we can become complacent. Remember that there are countries where Bibles are forbidden and considered contraband, and where owning one can get you into trouble. Are we reading His Word with great eagerness, examining the Scriptures, and doing so every single day? May we truly be men and women of the Bible. Let’s live up to our name as the People of the Book. This is an excerpt from the contribution of Jose Silvestre “Josil” C. Gonzales to the book Passion & Power: Pulpit Messages from the Filipino Heart. Josil is the founding chairman of the Christian Writers’ Fellowship, the longest-running Christian writers’ group in the Philippines. Josil has been serving persecuted Christians through Open Doors for the past 23 years. He was Open Doors Country Manager for Sri Lanka and the Philippines, and since 2012, has been the Country Manager for Bhutan. Passion and Power is available at OMF Lit and Passages Bookshops, PCBS, and our online store, passagesbooks.com. Passion and Power: Pulpit Messages from the Filipino Heart, brings together the teachings and thoughts of key pastors and leaders in the Philippine church. The messages in this book--developed from the timeless truths of God's Word--have been preached from the pulpit and have encouraged many. In these pages, you will learn about obedience, hope, love, forgiveness, and trust. Read the words of Filipino pastors, ministry workers, teachers, and spiritual leaders who have struggled with personal concerns, ministry, and problems in the nation. See how they confirm that only the truth of Scripture can anchor you when nothing else can. May these messages inspire you to be true to your walk of faith and hold o to the authority of God's truth.